Elyse is the Research Coordinator for UTOSM and comes to us with an extensive research background in local and international multi-site clinical imaging research and medical device trials. She has earned a Bachelor of Science and Technology Studies from York University, as well as a graduate diploma in Clinical Research from the Michener Institute of Applied Health Sciences, and has contributed to and coauthored work published in a number of journals including the British Journal of Cancer and Nature Scientific Reports. 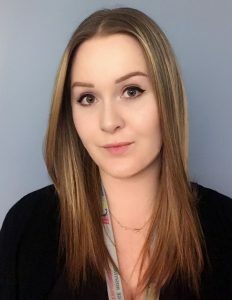 Her research interests include oncology, public health and patient centred outcomes, while her personal interests include biomedical design, medical illustration, and local music.